Can the IRS and Student Loan Creditors Collect From Me When I’m on SSI? I am writing for a friend who doesn’t speak English. 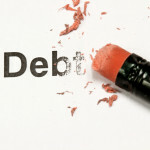 He is worried about creditors levying his bank account to collect two old debts (a student loan and a tax debt). Should he file for bankruptcy? The second debt is old federal income taxes, around $10,000. He has failed to file tax returns for many years (perhaps as many as ten), but he has had little or no income during the same period. He wants to know if the IRS can take some or all of his SSI or later his Social Security for unpaid taxes. Based on what you’ve told me, Juan can most likely get rid of his student loan debt because he is totally and permanently disabled. And it is almost certain that he doesn’t have enough income for the IRS to take anything from him for the old tax debt. Bankruptcy won’t be necessary. There are basically two types of student loans – subsidized (often called federal student loans) and unsubsidized (called private student loans). Subsidized loans are made or guaranteed by governmental entities. They subsidize the interest rate so that the loan interest will be less than what private lenders normally charge. Unsubsidized student loans are made by private banks. They usually charge an interest rate that is higher than subsidized loans, but still less than ordinary consumer loans. I am sure that Juan has a subsidized loan. When he got his student loan 30 years ago, private unsubsidized loans were basically unheard of. The distinction is important for Juan. Lenders of subsidized loans are subject to federal regulations that allow for the loan balance to be forgiven if the borrower is totally and permanently disabled, and without financial means to pay the loan. Because Juan is 61 years old and receiving SSI, he must have already convinced the Social Security Administration that he has a total, permanent disability, and lack of any other income. If Juan has an unsubsidized loan, he is out of luck. Private lenders normally will not forgive a loan. However, in this situation he might be able to discharge the loan in bankruptcy. While wiping out a student loan in bankruptcy is difficult, lately more and more courts are discharging loans like Juan’s – very old loans where the debtor is elderly and disabled and has no hope of earning income in the future. Unfortunately, Juan would likely need an attorney to help him do this, and it sounds like he doesn’t have the money to pay what could become very high legal fees to fight with the student loan collectors. Now let’s deal with Uncle Sam, the good old IRS. According to the website of the IRS Taxpayer Advocate, the IRS can take a person’s Social Security benefits in order to repay tax debts. However, as the advocate’s website also states, the IRS must allow the tax payer to retain enough money to cover modest basic necessities. These living expense allowances are called Collection Financial Standards. I am certain that Juan’s SSI benefit does not leave him enough to pay for basic necessities pursuant to the Collection Financial Standards. His income won’t even come close to exceeding the amount of money he is legally allowed to keep. Juan should immediately contact the IRS and ask them to mark his account as “current uncollectable status.” They will verify his income, match it up to the living expense allowances in their collection standards, and see that his income is below the level they are allowed to collect from. It is a process that can be done on the telephone, and they will do the form for him. Juan won’t need to file for bankruptcy.